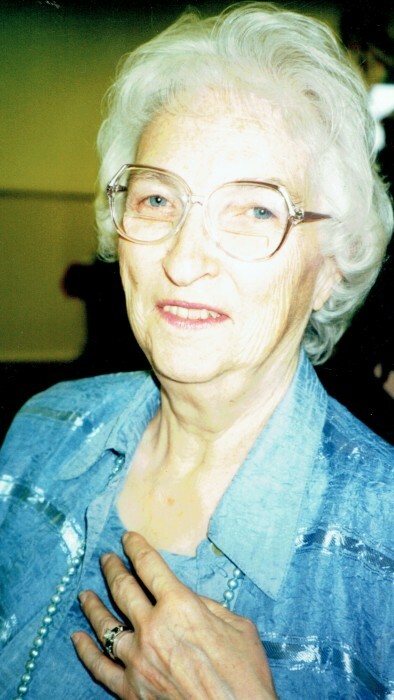 A family celebration of life will be held at a later date for Alice B. Gill Thompson, 93, of North Bend. Private cremation rites were held at Ocean View Memory Gardens and private inurnment was held at Sunset Memorial Park Mausoleum in Coos Bay. Alice was born on September 24, 1925 in Great Falls, Montana To Charles Sadler and Alice ( Woodward ) Sadler. She passed away peacefully on January 25, 2019 in Coos Bay. Alice married Kenneth Gill on December 7, 1947. They were married just short of 50 years when Ken passed away on September 28, 1997. Alice was mostly a stay at home mom , always baking goodies for her kids. Throughout the years she did work outside the home at Stan’s Subway Sandwiches, Godfather’s Pizza and Kandy Korn in the Pony Village Mall. In 2001 Alice married Keith Thompson. Alice is survived by her husband, Keith Thompson of North Bend; daughter, Linda McGough and her husband Jim of Albany; son, Bob Gill and his wife Sarah of Keizer; daughter, Melanie McLarrin and her husband Steve of North Bend; daughter, Karen Orchard and her husband David of North Bend; grandchildren, Chris McGough, Kim Clark, Daniel, Jason and Aaron Gill, Alyce Wise, Brittany and Kelli Orchard; along with 8 great-grandchildren. Alice was preceded in death by her parents, Charles and Alice Sadler; her first husband, Kenneth Gill; her brother, and many friends. In lieu of flowers please make a donation in memory of Alice to a charity of choice. Friends and family are encouraged to sign the online guestbook at www.coosbayareafunerals.com and www.theworldlink.com. Arrangements are under the care of North Bend Chapel, 541-756-0440.